On October 27, Continental will become a member of the Star Alliance, in place of its tie-up with the SkyTeam alliance which ends on October 24. There will be no fees for Platinum Elite members for same-day ticket changes. Elite upgrades will no longer be available on Northwest flights. A new award chart takes effect. The current Saturday-night stay requirement for award travel will be lifted. Members using miles to upgrade to BusinessFirst from B fares will no longer be charged a $100 co-pay. Elite bonuses will be based on the minimum mileage earned instead of the actual miles flown. OnePass members will no longer earn elite miles, points, or mileage bonuses for travel operated by Amtrak, Emirates, EVA Airways, Hawaiian Airlines, Island Air, Kingfisher, and US Helicopter. New award travel fees will apply for redeposits, reservation changes, and bookings made within 21 days of departure. Platinum Elite members will pay no fee; Gold Elite members will pay $25; Silver Elite members will pay $50; and non-elites will pay $75. The new fees will apply per customer instead of per reservation. 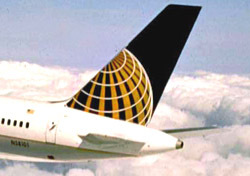 All members worldwide will earn 125 percent base miles on F, C, J, and D fare classes. All members worldwide will earn 1.5 elite-qualifying points when they purchase and fly in fare classes F, C, J, D, Z, Y, and B on flights operated by Continental. It’s easy to become overwhelmed by the sheer number of upcoming changes, and the numbing details. But the great majority of the changes concern elite status—how it’s earned, and the perks associated with it. When all the pluses and minuses are factored in, the net effect is slightly positive for the majority of those who either already have elite status or have a realistic chance of achieving it. For average travelers—most of us, in other words—the most significant of the new policies is the abolishment of the Saturday-night stay requirement for award travel. That was a particularly noxious restriction, and the program will be the better for discarding it.